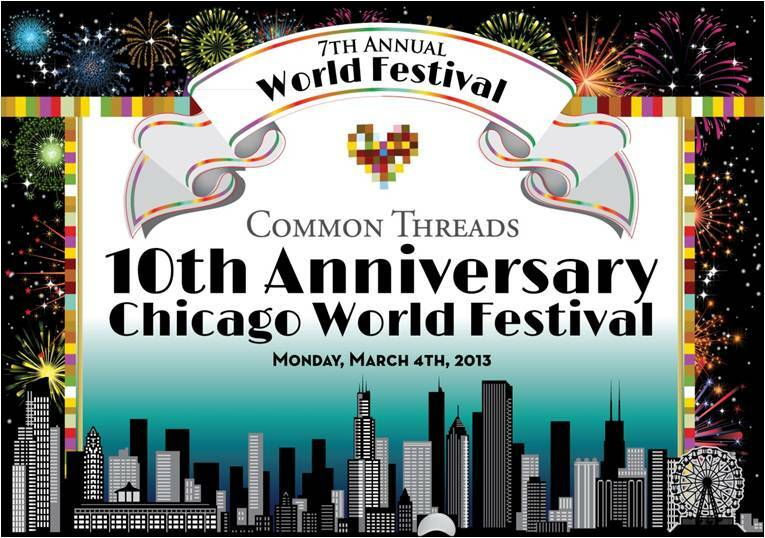 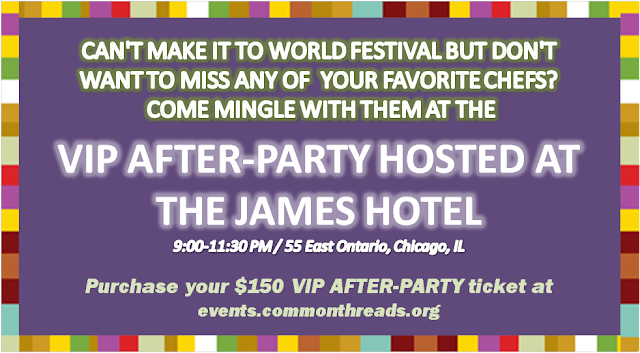 Common Thread's 10th Anniversary Chicago World Festival this year. 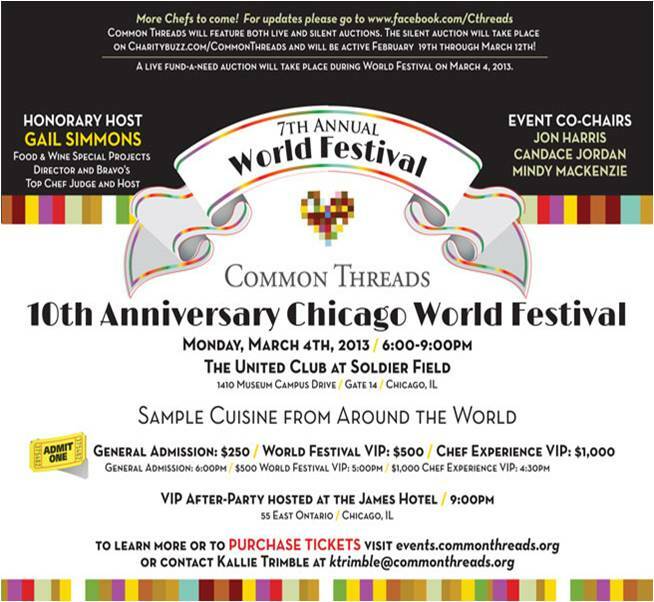 Common Thread's "mission is to educate children on the importance of nutrition and physical well-being, and to foster an appreciation of cultural diversity through cooking. We help bridge cultural boundaries and strengthen our global family by teaching children about their similarities and differences in the warm comfort of the kitchen: Through the simple process of preparing and sharing a nutritious meal, children who participate in our programs learn to connect with their bodies, their neighbors, and their world in bite-sized lessons." 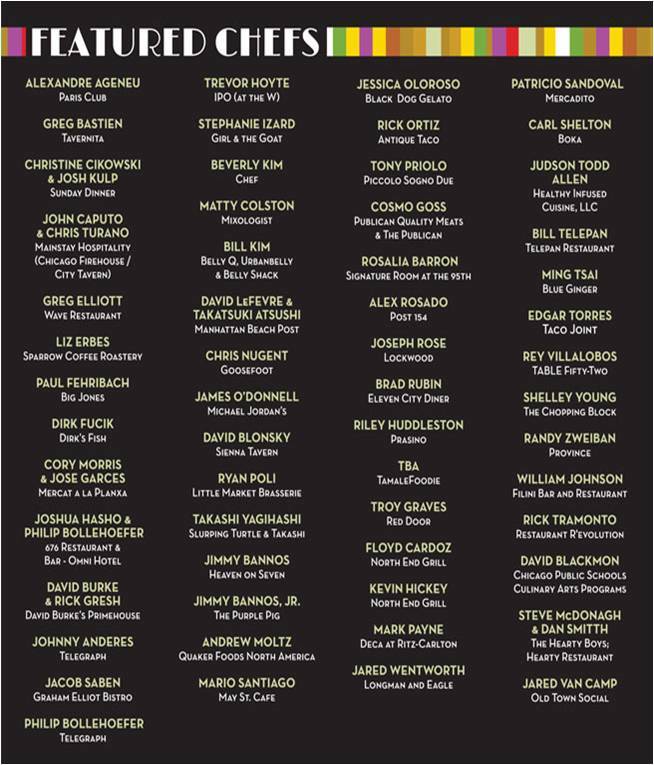 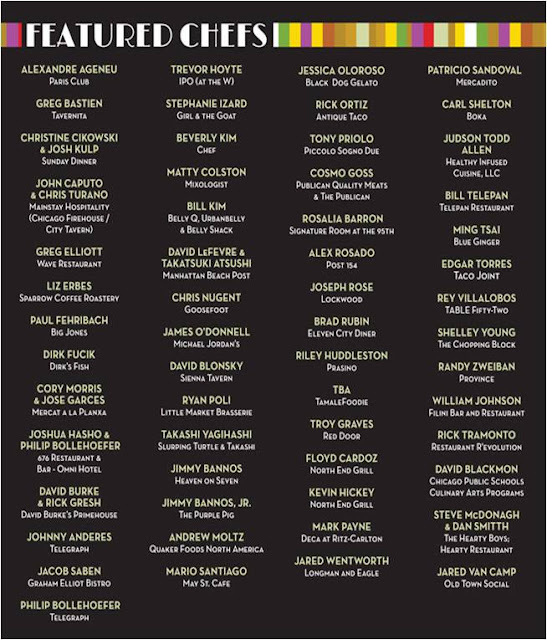 The Chef list is truly spectacular and I cannot wait to taste the world for a great cause!